Enjoy your coffee as black as the Dark Side! 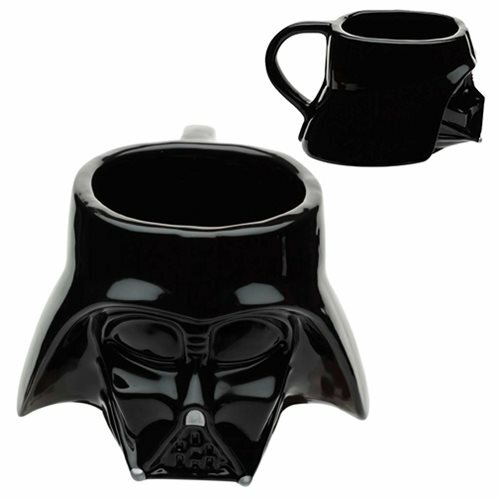 Use this Star Wars Darth Vader Ceramic Molded Mug every day to add a little fun to the morning routine or put it on a shelf to admire. Hand-painted and made of ceramic, this sculpted mug measures about 3 3/4-inches tall and the rim measures about 3-inches in diameter. Holds about 16 ounces of liquid. Hand wash only. Not dishwasher safe. Ages 13 and up.